Maybe you’re thinking about starting a family and need more space. Maybe your kids now have kids of their own, and you no longer need all that space. Or maybe you have always wanted to design your own home. Evans Farm offers a variety of lot sizes and price ranges so you can build the home that’s perfect for you and your budget. Contact us today for a list of our preferred builders. 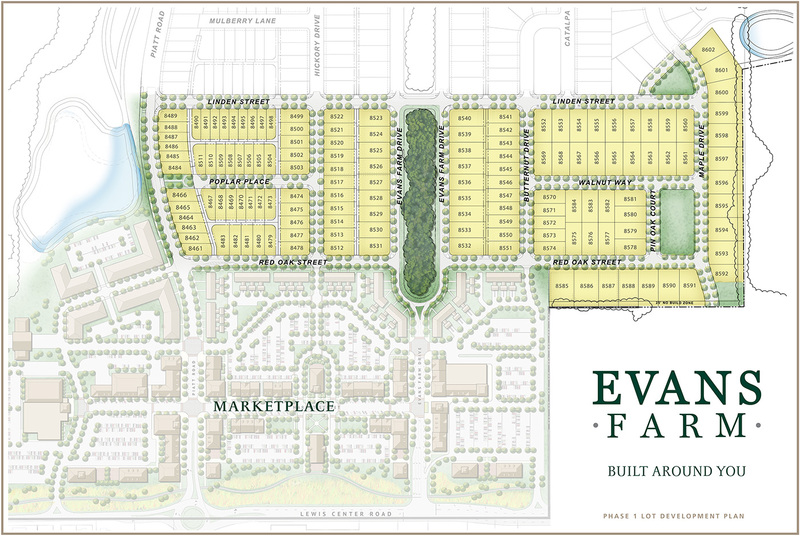 Architectural diversity is part of what makes Evans Farm unlike other communities. Walk down any street and you’ll see a Cape Cod next to a craftsman, a Victorian across from a bungalow. Choose your own architect and design the home that’s right for you. We pride ourselves on building close relationships with realtors, and we believe you and your buyers will find a community worth exploring. Give us a call and we’ll show you around. Let us show you around. Send us a message using the form below and we’ll be in touch.